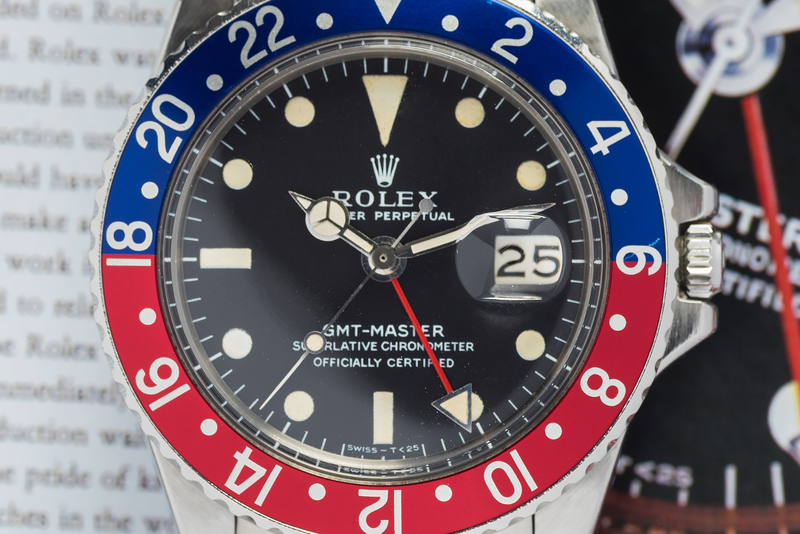 We are exited to offer you another very fine Rolex GMT-Master, reference 1675. Examples like this are becoming more and more difficult to find in todays market so don’t hesitate as prices continue to climb on these beauties. 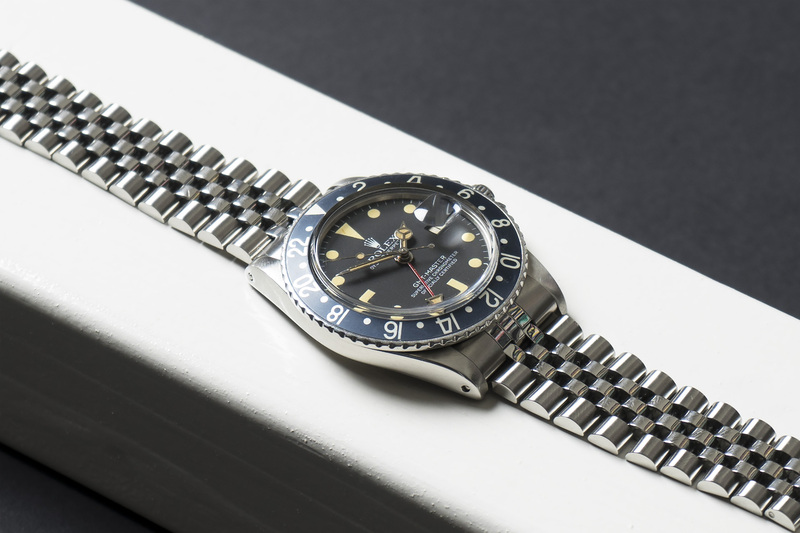 This stunning Rolex is a late 70’s GMT. The hour plots on the dial are slightly fatter than that of its older brothers. This dial with its white printing and amazing warm patina has to be amongst one of our favourites! 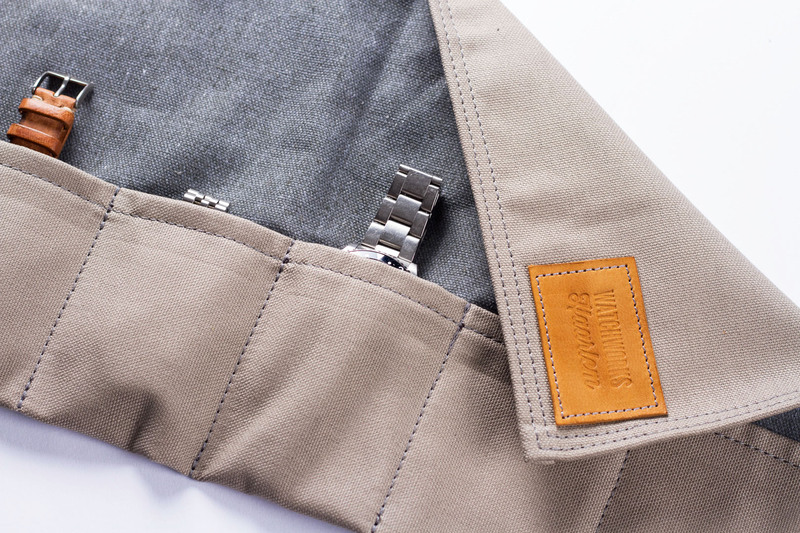 Not only is the overall patina on the plots matching with that of the hands, but the beautiful matte grey dial is truly spotless and has an almost moon like surface when viewed up close – very cool! 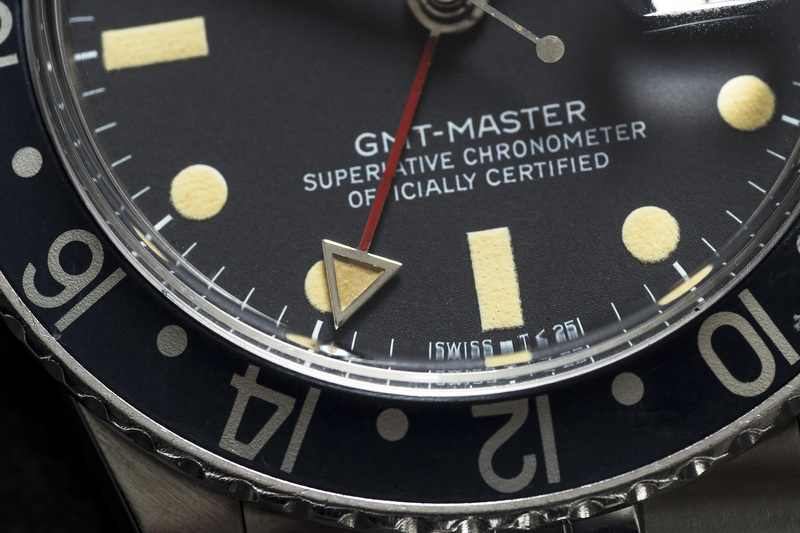 The bright red GMT hand with its heavy patinated arrow sets off wonderfully against the matte grey background, making the entire dial pop. 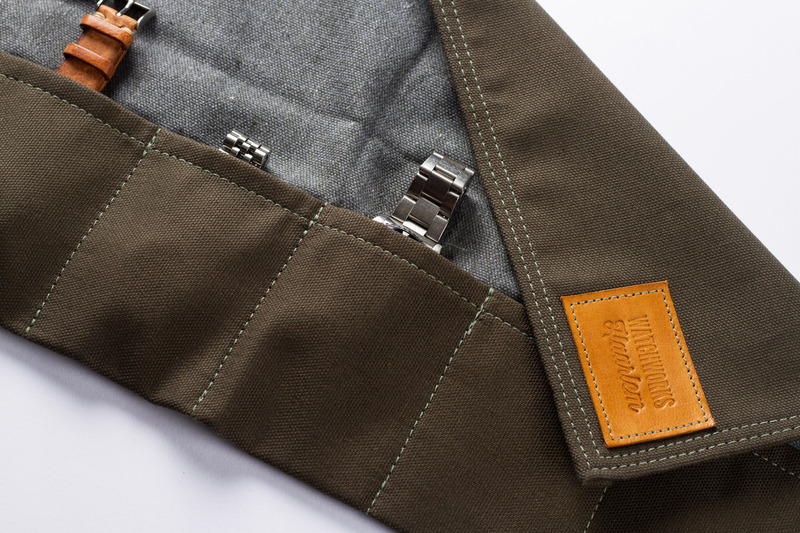 The killer petrol/grey inlay completes the entire look and will never get boring as it displays different hues in various lighting conditions. 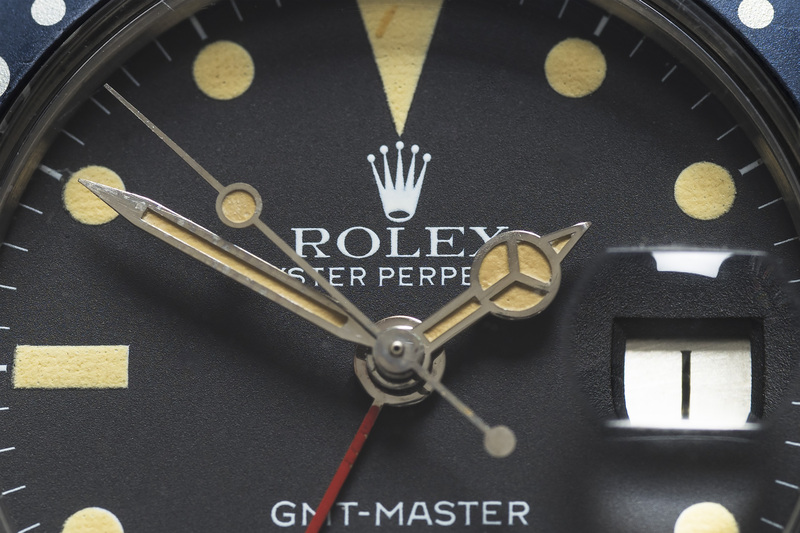 The silver coloured date-wheel that is fitted on top of the 1575 movement is the original and features beautiful serif fonts, including open sixes and nines. 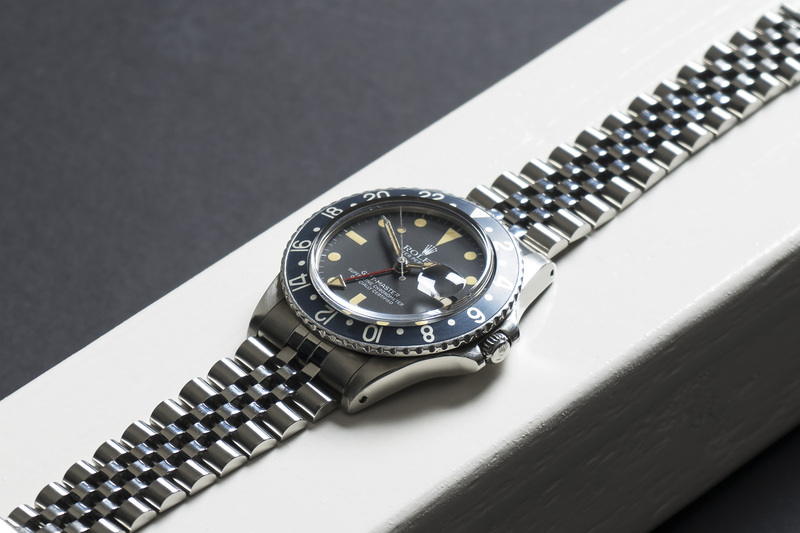 The 62510H Jubilee bracelet has an F clasp code, dating production back to 1981 and is most likely the original bracelet to this GMT. The entire Jubilee bracelet has been overhauled and all steel pins that hold the bracelet together have been changed out, making this a vintage Jubilee bracelet with zero stretch. 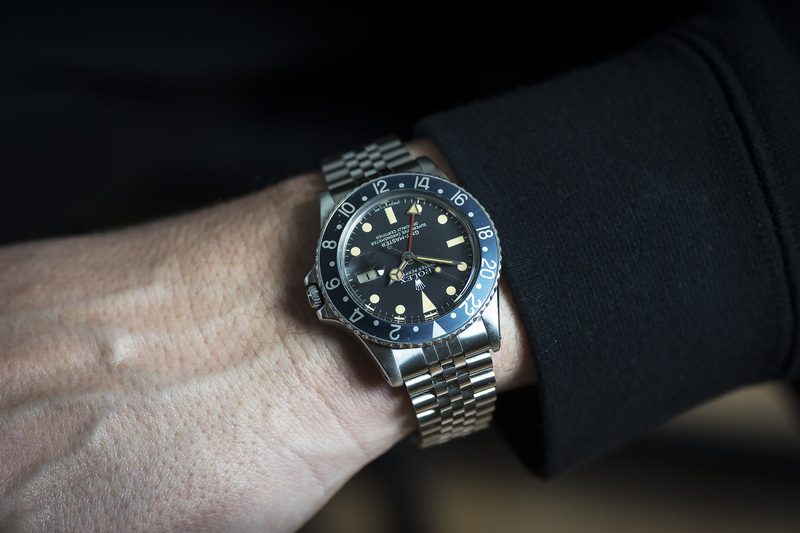 Are you ready to rock one of the most iconic Rolex watches around!? 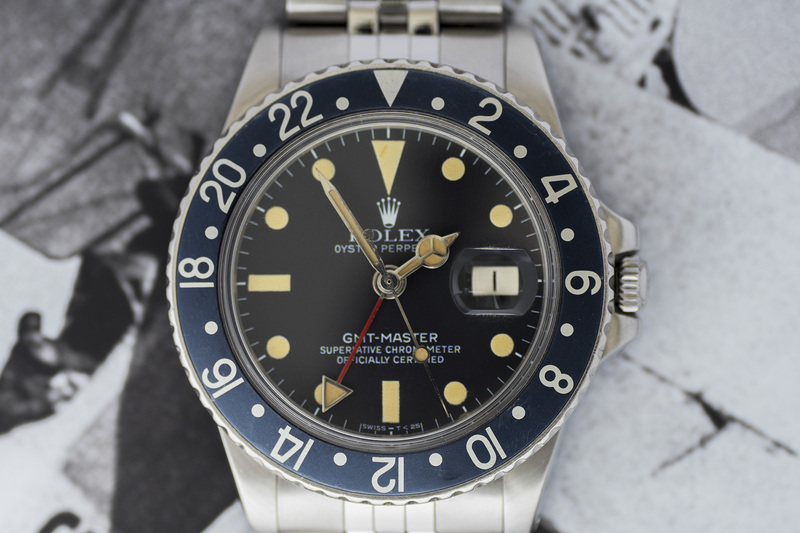 This Rolex 1675 has been fully serviced by our watchmakers and will be offered with a twelve month warranty.